Presented in a dinky reusable bag (perfect for carrying your lunch!) 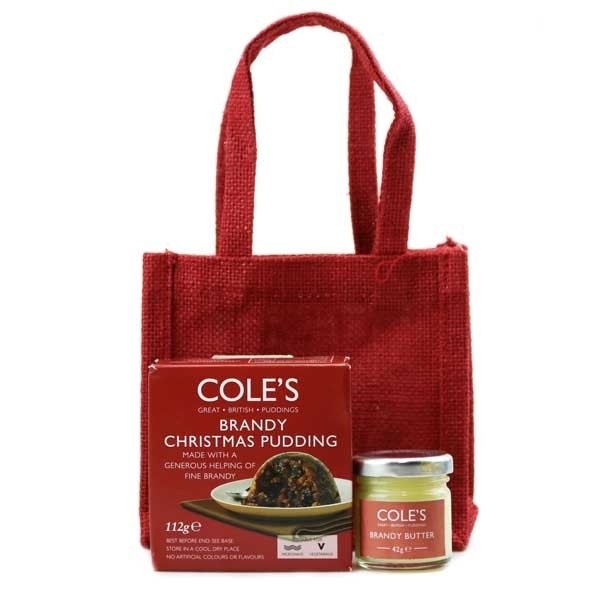 this classic Christmas gift contains only the finest from Cole's, the producer of quality puddings. Using expertise that they have gained over the years Cole's produce great British Puddings by combining classic recipes made from the finest ingredients and employing traditional methods of manufacture. The perfect combination for the perfect pudding!